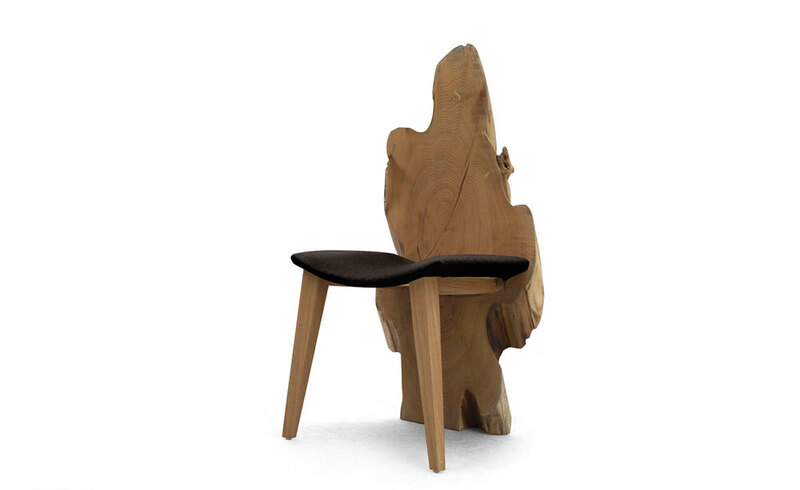 A unique accent chair using the natural shapes and contours of a bias-cut live edge slab. 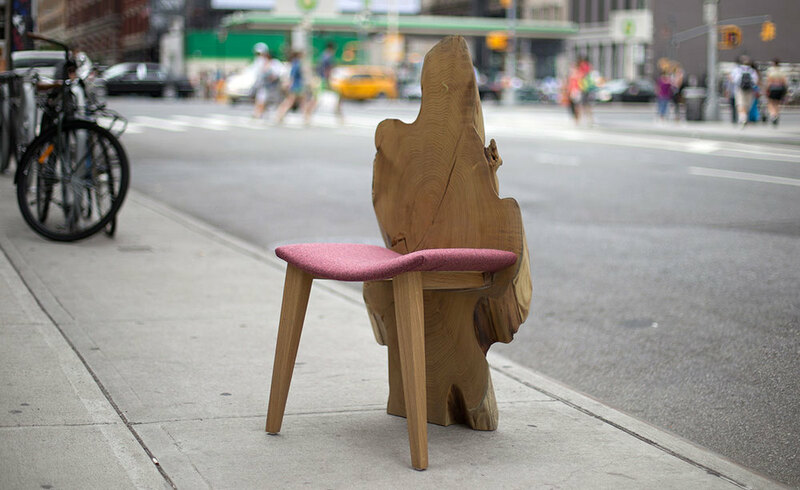 The locust wood provided inspiration for a unique chair using a vertical slab as both leg and backrest. 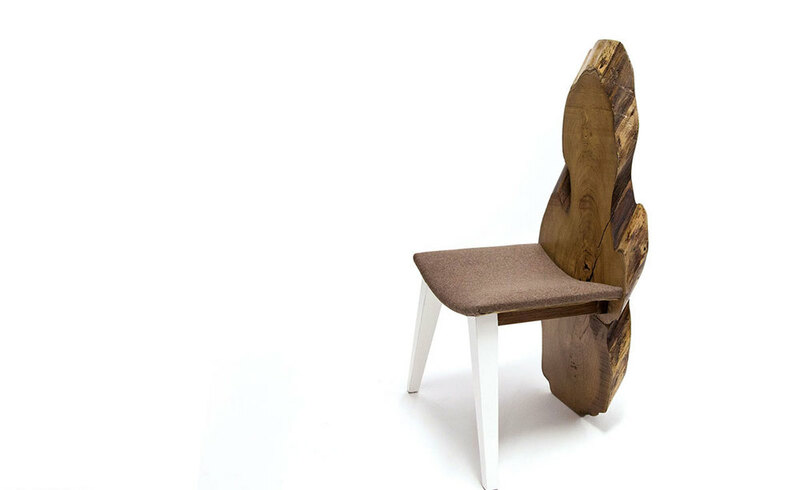 We added to the composition—we constructed a curved seat with tapered legs. 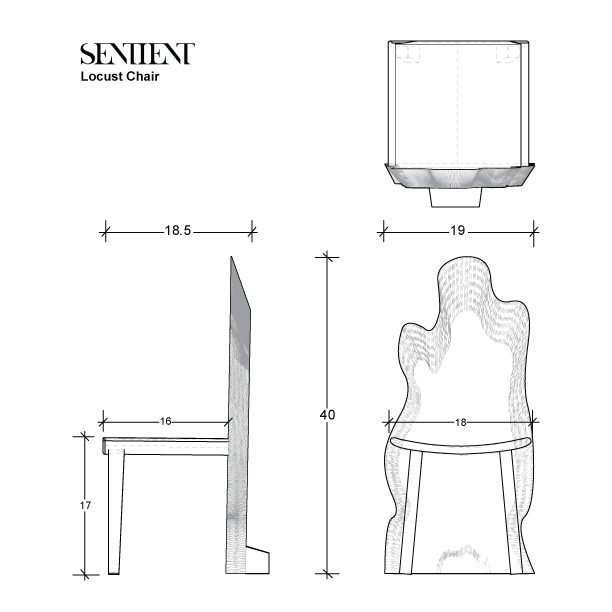 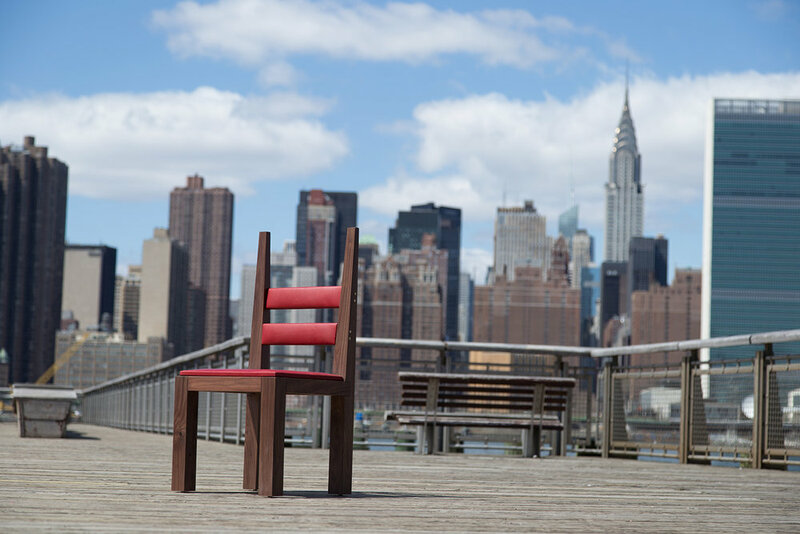 The result is a chair that will work for both formal and contemporary settings.